SOME bands have got sass by the spadeful and The Jezabels are at the top of the pile of such bands: quite simply, they are Australian music royalty. Their 2011 debut Prisoner hit number two on the ARIA album chart; a feat matched by this year’s majestic follow-up The Brink. We chat with lead guitarist Sam Lockwood prior to their much-anticipated appearance at Splendour in the Grass. Your first show was in 2007 was at a Battle of the Bands competition at a Sydney university. Just recently you played at the Sydney Opera House. 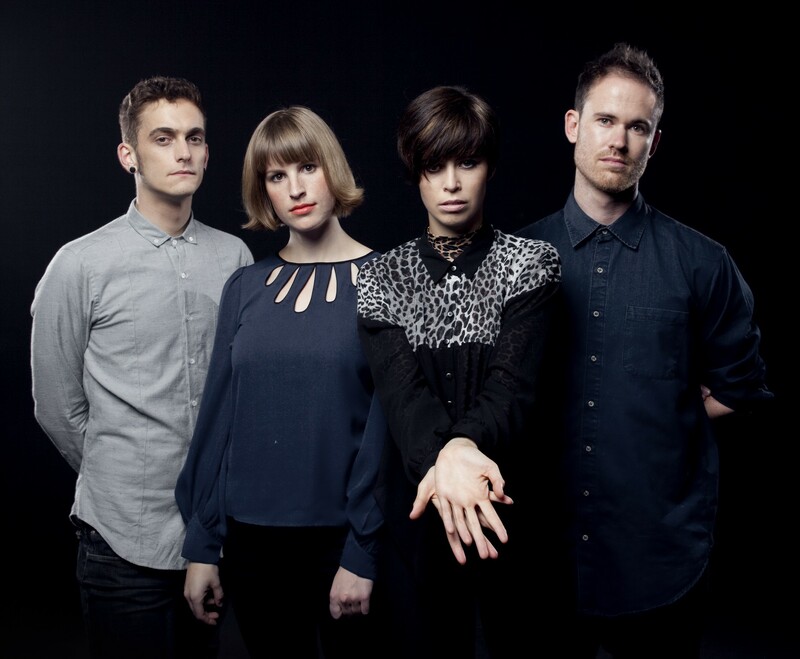 Has the Jezabels conquered Sydney, so to speak? No-one can conquer Sydney. It’s too wild a beast. But I can say we felt like we’d conquered something from when we sold out the Hopetoun Hotel a few years ago. Ever since then Sydney has been really good to us. So I guess instead of conquering, we feel like we owe Sydney a great performance whenever we return. In an early interview one of you said you had to rework tracks from Prisoner to make them less complicated to play live. How much of an influence did that have when writing The Brink? Prisoner was the first album where we went a bit experimental with the recording process. But what we didn’t think about was recreating the experimentation live. It’s hard to play five guitar layers at once. So, for The Brink we stripped everything back and tried to recreate our live sounds. It was a very liberating process. What was it about London that made it a good place to record the album? And were you constantly bumping into other Aussie bands? I saw Matt Corby at our rehearsal studio and subsequently went to his show and he blew my mind, so that was amazing. We became friends with Michael Tomlinson from Yves Klein Blue as well. There are a fair few Australians over there. Lachlan Mitchell produced your EPs and your first album. Dan Grech-Marguerat worked on The Brink. How different are their styles of production? When looking for a producer, is it the catalogue of artists they have produced that initially attracts you to them? They are actually surprisingly similar. I mean I didn’t really notice anything different. The most important thing that a producer needs to be is nice, and both Lachlan and Dan are the most beautiful people you could ever meet. For Dan, we saw that he’d worked with artists like Radiohead, Lana del Rey and the Scissor Sisters. He’d had great experience with pop and alternative stuff, and I think we have elements of both in our music. We felt he could be perfect. How has The Brink been going down live overseas? Which country’s audience reaction has surprised you the most? It’s been great. We’ve got awesome fans all over the world now. I’d say Germany is a special place for us. I don’t know why the Germans take to us so well – but honestly, I’ve noticed that Germans are very similar to Australians. Maybe that’s it. A number of Australian musicians have covered your songs. Is there one that appeals to you most, and why? Two would stick out for me. Firstly, Josh Pyke’s cover of ‘Endless Summer’ was such a great thing because he was the first big artist to take us out on the road. He’s a good friend and an awesome human. But also Big Scary’s cover of ‘Hurt Me’ was beautiful too. They are also great people and musicians, so that was quite amazing. You’ve been on the road almost constantly for the past two years. What do you enjoy most about touring and what is the secret to staying sane or at least emotionally and spiritually coherent? First of all, you don’t really stay that sane. I feel, because we spend our time with the same people constantly, you tend to lose some essential social skills. But it’s seriously amazing. It does get hard, however the hard times are the ones you remember the most. Who on this year’s Splendour line-up would the entire band most like to share an evening with at a good Byron Bay restaurant? Geez, I’ll take that one and say Future Islands. We saw them play in London a few years ago and we’re all big fans of theirs. That would be a fun evening, I think.